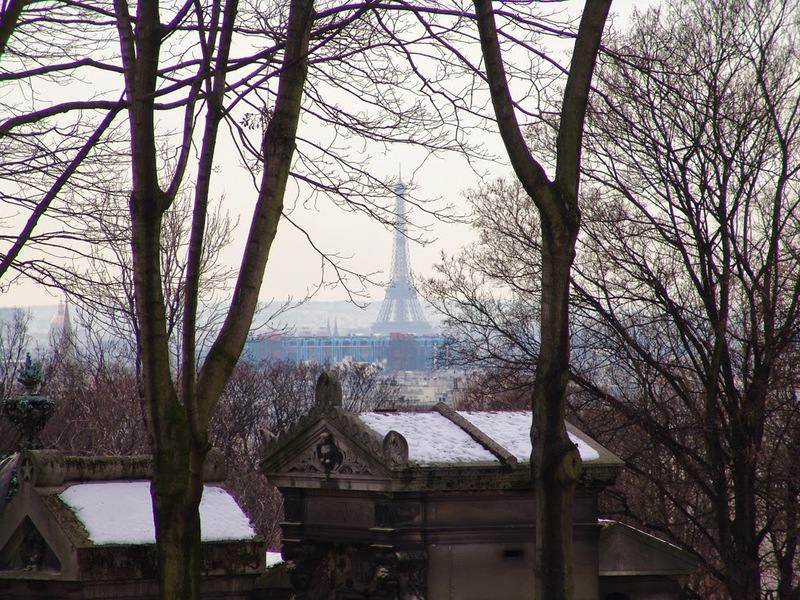 The heart of Europe is marching in Paris today in solidarity against the horrendous atrocities witnessed in the City of Lights this week. Italian politicians are waging their own smaller war – against Prosecco on tap. And while this might seem minute in comparison to more important events unfolding in Europe, this is our smaller march on the wine trail in Italy today. And while there are some translation issues with the above statement (for example, “the fact is misleading” should probably read, “the assertion is misleading”) I think it’s clear. Wine called Prosecco, legally, must be bottled. Period. Italy’s Prosecco is having a moment of worldwide popularity. The sales of Prosecco in the world I track (15 states in the Midwest, what we call flyover country) showed a 50% increase in 2014 vs 2013. Healthy growth in any time. Along with the popularity come fly-by-night marketers who are trying to cash in on that momentum and make a quick buck. Yesterday I received a call from a reporter at BBC and was asked to talk on a live news broadcast (linked here) at 7AM GMT (that would be 1AM my time). When the call came, along with myself was Marcus Hilton who owns the Priory Bar in Wakefield, England, a merchant who represents the sales of a wine that purportedly comes from Italy and is made from the Prosecco grape, which we now called Glera. It was a quick, live piece, and the two of us and the reporter talked about the issue of Prosecco being poured on tap in English bars. In my view there are a couple of factors at play here. The first is the fact that most people on earth are not wine aficionados. They are just looking to have a drink. The nuances between Prosecco, sparkling wine and Champagne are not terribly important to most of them. To the producers, the lawmakers and the infielders, this is more important to us. Yes, it’s a whole lot of inside baseball, but it is important. 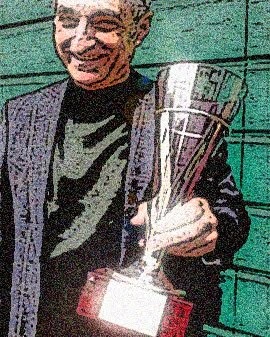 In Marcus Hilton’s defense, he stated “ …it’s an English perception problem in the UK. People don’t understand what the word frizzante means. We sell the same liquid in a bottle and in a keg. In the bottle we call it Prosecco. 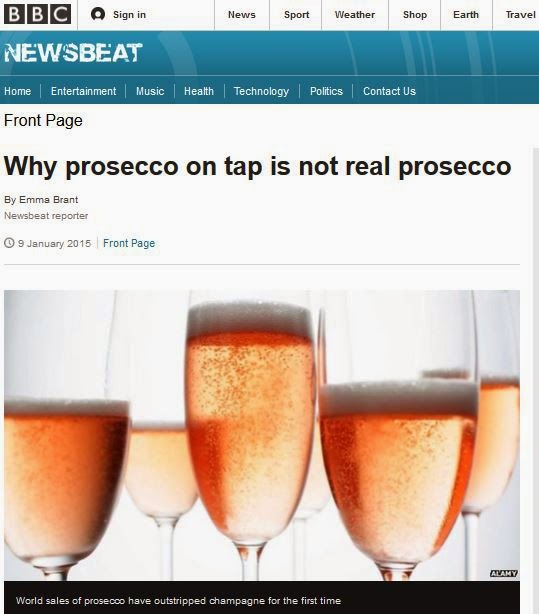 In a keg we have to call it frizzante.” So the issue is what the public-at-large means when they use the term Prosecco. The reporter asked me if it would taste the same. In the short time allowed to answer I allowed the wines, to the average person would taste the same. In theory, the wine in Italy is in a large tank and then it is bottled. In a small keg, which is like a tank, the conditions could exist for a similar taste and texture. And at that level, which is fairly basic, I cannot imagine much difference, even to those whose lives revolves around wine. The matter revolves around the way the law is stated, and there is also a degree of pride (and protection) that the producers and the consortium are trying to protect. I agree with the producers and the consortium on this, by the way. We need more education on what Prosecco is. And I believe that is an ongoing effort by many. The other factor is with marketers who make fizzy wine in kegs. I’m all for keg wine. But let’s call it what it is. Like Marcus Hilton said, “people don’t understand what the word frizzante means.” They think that the words Champagne and Prosecco are synonymous with all sparking wines (although one is a region and a specific wine and the other one, once was the name of the grape and now also denotes a delimited area of production) and so language subverts their real meaning for one of convenience. Look, there will always be folks who want to make a quick buck (or quid) by taking shortcuts. 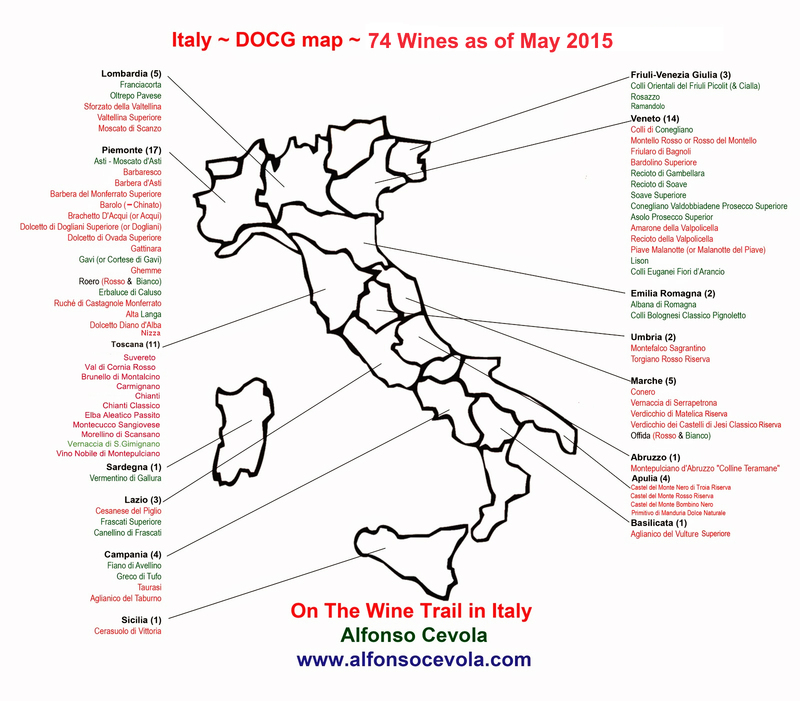 The folks who produce the wine in Italy in kegs need to be monitored closely. Once it leaves Italy, though, it is pretty difficult to regulate the words people use to sell things. 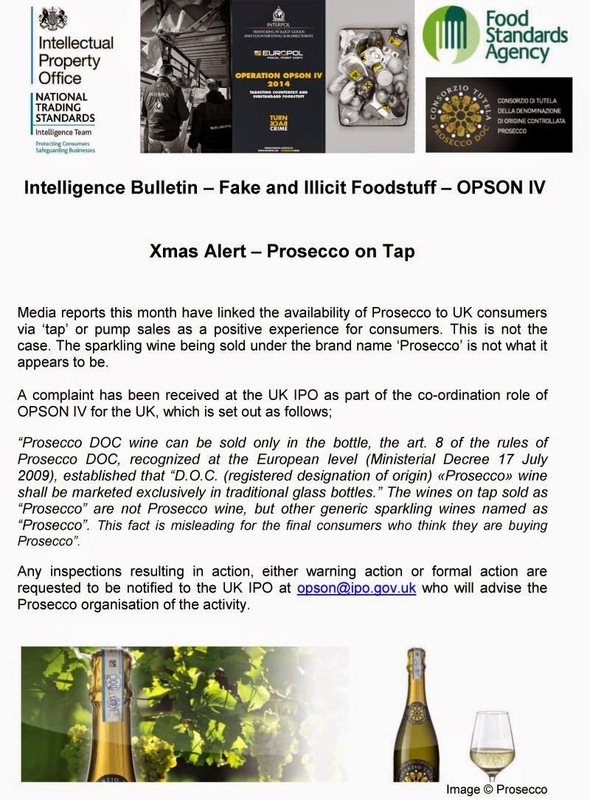 They can and have been clamping down on marketers who use the terms loosely, like the company Frizzenti, which market a sparkling tap wine. 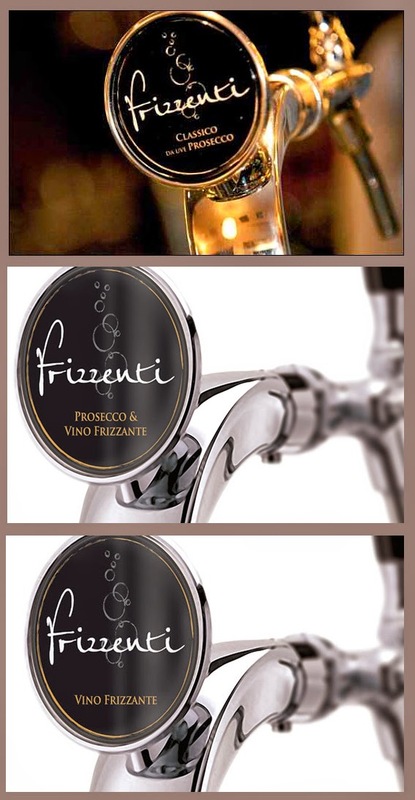 On their Facebook page they showed a tap originally with the words “Classico dal uve Prosecco.” Then they went to “Prosecco & Vino Frizzante” (according to the FB pix) and then to the more correct “Vino Frizzante” (on their website). And while this firm did lend to the confusion, it seems they have been brought in line with the EU laws to clarify what they are selling as frizzante wine – Inotherwords to call an ace an ace and a spade a spade. That doesn’t mean the folks who go into a pub in Wakefield are all going to magically start asking for a “draw of frizzante.” But it is progress, one grain of sand at a time. Prosecco producers should see this as a teachable moment. Concentrate on making a good, healthy, safe, delicious product. And then go out to the streets and communicate your message, even if that message doesn’t hold the degree of importance as these other more urgent world issues Europe (and the world) is facing right now. 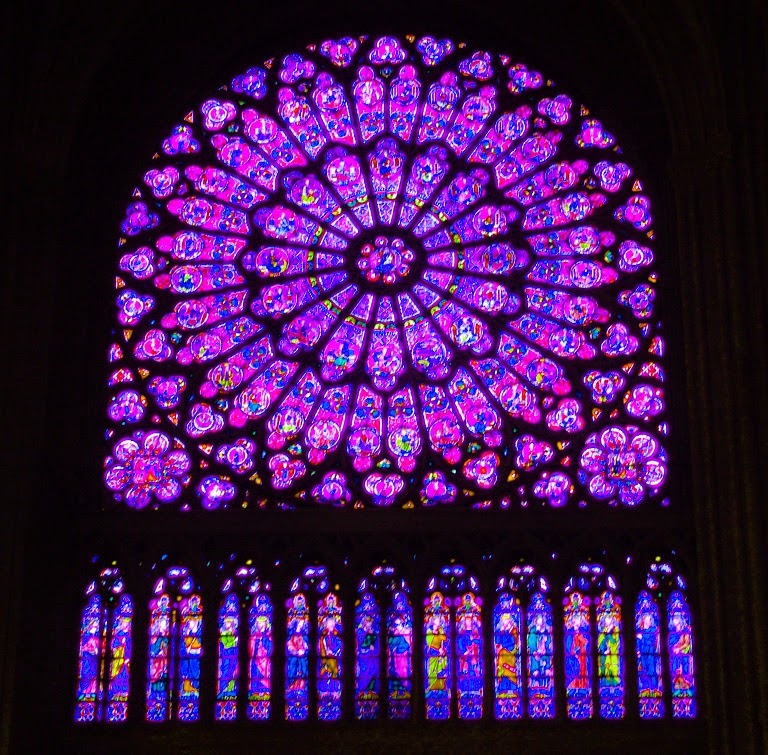 Good luck to all, especially to our French brothers and sisters in this critical time and much more important concern. Great article and education for many! In discussing wines with folks when I used to provide recommendations and sell wine, many people used the term champagne for sparkling wine, but I do believe that more and more people are starting to understand the difference. The average consumer in a bar may not understand the difference, but what's right is right in terms of what the product legally is. Unfortunately it is very hard to find good prosecco in Paris, which is quite normal because we have such a good champagnes and Cie, but I love Prosecco! So we will continue to drink champagne ( Agrapart! I prefer) and we will say f*** to all these stupid young guys!